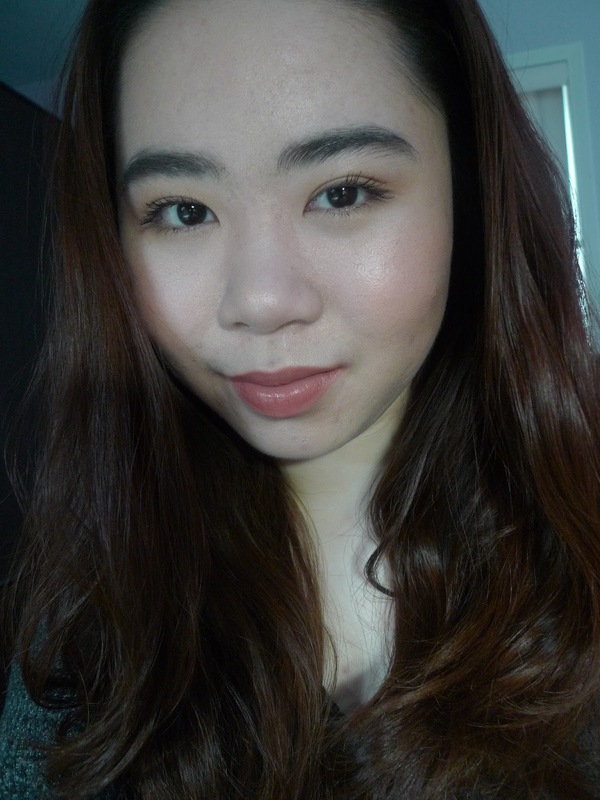 October Love In NYC: What's New: Charlotte Tilbury "Instant Look in a Palette"
For the past few days, this "Charlotte Tilbury Instant Look in a Palette" have been a huge hit. Many makeup lovers have been trying to get their hands on palette ever since it launch on the Charlotte Tilbury website. Lucky me, I place an order few hours right after its for sale. Of course i have to purchase some other items (the famous Magic Cream), that will come up in another post soon. This palette have a chic-sleek-luxury package that is perfect for traveling. This all in one palette got eyeshadows, blush and a bronzer & highlighter will definitely make your travel makeup bag much more lighter. Eyeshadows #1 Brighten: This is a beautiful all over the lid brightening pale rose to color correct. Just lightly dust over the lids for a subtle color. 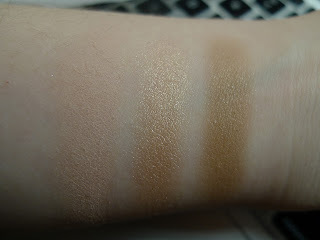 Eyeshadow #2 Eye Enhance: It is a illuminate natural glowing champagne shade that adds dimension. Its not glittery, just the perfect amount of glow. Eyeshadow #3 Eye Smoke: A universally flattering taupe shade that can either softly define the eyes or built up to a very natural smokey eyes. These are the perfect, easy to blend eyeshadows that is just perfect for everyday use. #4 Bronzer: This Bronzer is the same bronzer in the famous best-selling Filmstar bronzer & glow palette. The color is not too gray, orange, red, or brown. It is just the perfect bronze color to define the hallow of the cheeks, the jawline and just all over the face. 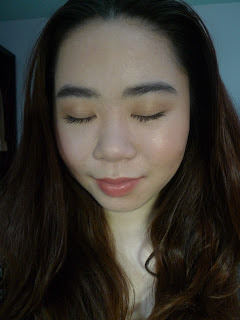 #7 Highlighter: A candlelit shade to highlight the cheekbones, down the nose, on the bow of the lips, and the inner corner of the eyes for a beautiful glow. These are super easy to blend and just naturally flattering on everyone. Blush #5 Swish: Just "SWISH" this tea rose blush on the cheeks for a healthy glow. You can also wear this alone with a bright lip color. 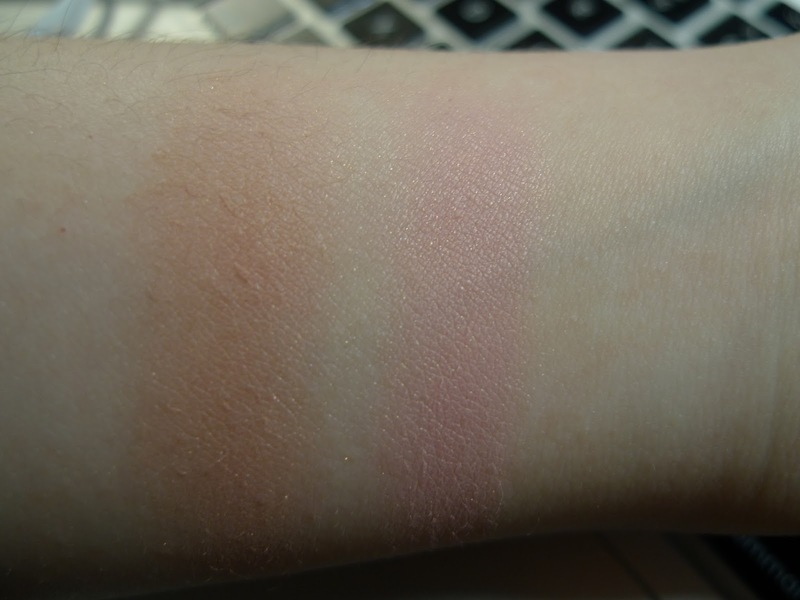 Blush #6 Pop: Then "POP" this uplifting pretty pink on the apple of the cheeks for a natural lit-from-within look. These are also easy to blend blushes. 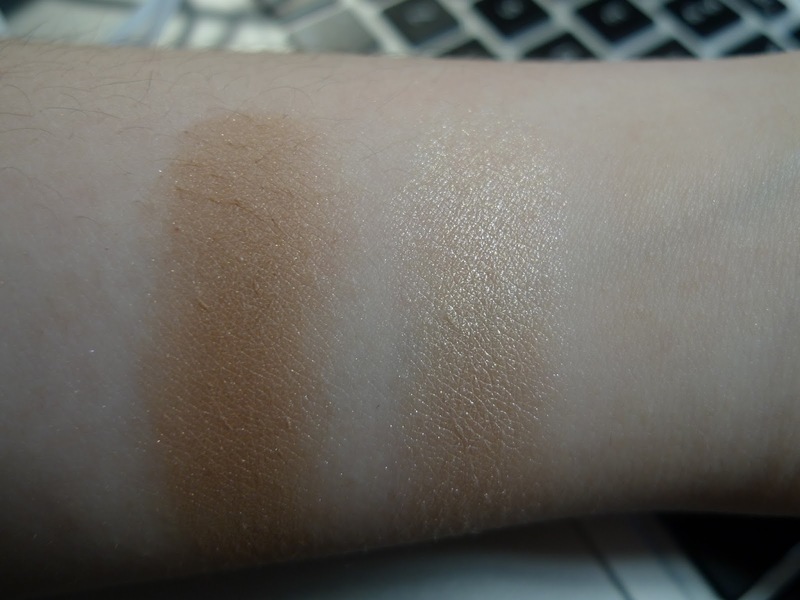 It is very pigmented, so remember to go a light hand. These blushes can either be wear alone for a whole different looks or layer for another smily cheeks. The "Charlotte Tilbury Instant Look in a Palette" is an amazing, beautiful, great quality palette. It give a instant, gorgeous look for both day and/to night. It creates a perfect chic and effortless look within a short amount of time. There is no other palette out there like this one. With its sleek and travel friendly packaging, the size of each product is rather small to fit a big brush while picking up each product. The eyeshadows and the highlighter is the perfect size, just the blushes and the bronzer is a bit too small for big brush. A smaller brush or just be little more careful wouldn't be a problem. 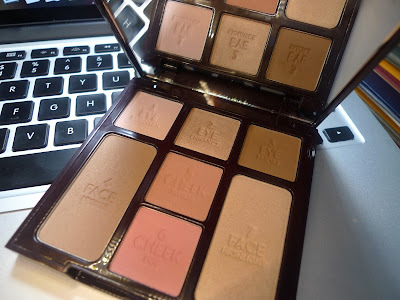 Overall, this is a palette that i think every beauty lover should have in their collection. Not just beauty love, just someone that use makeup should get this all-in-one palette. The price for this palette is $75 and it is worth every single penny. Remember to order online or purchase it in store!